The Deep Blue collection by Aussie designer Nicole Carn is inspired by inspiration from japanese shibori fabric dyeing, using the beautiful contrasts of deep blue and white. 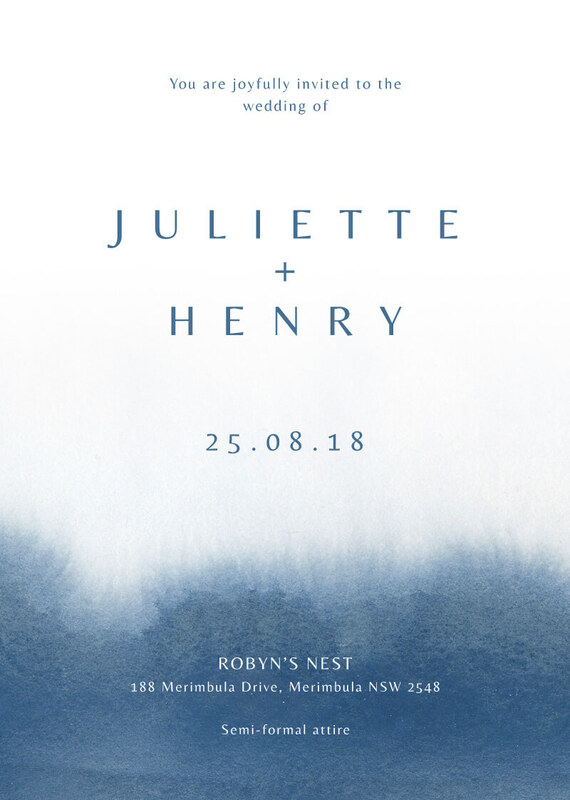 the watercolours mimic an aerial view of a shoreline, the blue waters melting into the sand, fading to white and would fit perfectly for those planning a watercolour ceremony or reception. This Wedding Invitations card from the larger Deep Blue design set looks stunning when printed using Letterpress technique and when it comes to stocks, we think it looks best on Paperlust White.